Latin for 'golden', referring to the hairs. Ficus aurata var. densiserra (Miq.) Miq. Ficus chrysocarpa var. undulata H.J.P.Winkl. Understorey tree up to 20 m tall and 20 cm dbh. Stem with white sap. Stipules ca. 10 mm long, hairy. Leaves alternate, simple, tripli-veined, hairy below, toothed margin. Figs ca. 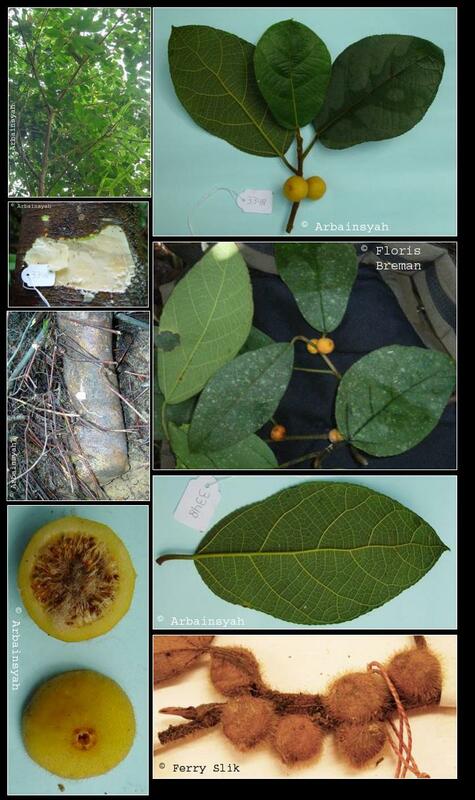 12 mm diameter, yellow-orange, globose, hairy, fleshy, placed along the twigs. In severely disturbed sites (belukar, road sides, clearings, etc.) or open sites in Mixed dipterocarp and montane forests up to 1500 m altitude. Common along rivers and streams and hillsides. Often on clay soils, but also on sand and ultrabasic. Indo-China, Peninsular Malaysia, Sumatra, Borneo, Philippines. Borneo: Kayu ara, Kumpan, Lamak-lamak, Pompan, Tegong, Tempan, Topog.